We take framing seriously. We understand how valuable your precious pieces are and we take extra care in the handling and storage of your work as if they were our own. We have everything from a 16th century reproduction Dutchmaster to 20th century American arts and crafts. We’ll help find the perfect frame for your irreplaceable piece. Sometimes the perfect frame hasn’t been crafted yet. Our design staff is skilled at customizing frames to create the look you need. 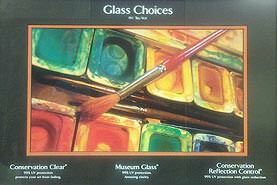 We offer the finest Tru-Vue conservation and museum quality glass options, mounts, spacers, filets and backings. We carry all the options in matboards including Bainbridge, Crescent, and hand-wrapped fabric mats. We stock and special order both domestic and imported mouldings. We’ll make the decision process easy and enjoyable. During your free consultation, our helpful designers will narrow down all the options to the one you really love. 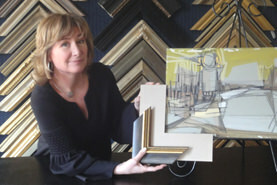 You’ll hang your artwork with confidence knowing you chose the best frame. Your designer will ask you a series of question and then make design recommendations. Your consultant will be sensitive to your needs and budget. 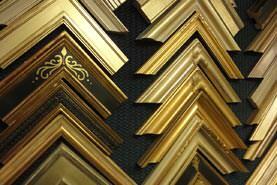 Once you select your frame package, we take responsibility for your artwork. 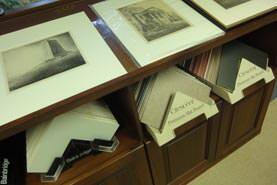 Our specialists will handle the mounting, the mat cutting and the frame production. All ordering and assembly is done in our workshop. After passing through our rigorous inspection, your artwork is ready for pickup. You now own beautiful framing that will last a lifetime. Please fill out this short form to schedule your consultation. We’re located at 540 North Blount Street, Raleigh, NC 27604. Note: Price quotes are not given before your consultation. Delivery times vary according to what moulding is selected.